Rustic charm is revealed with this nature inspired Oak Leaf & Acorn 6 Light Chandelier as stunning oak leaves flourish from branches that adorn Ivory colored faux candle lights, which are complemented with accents and hardware finished in an Antique Copper. 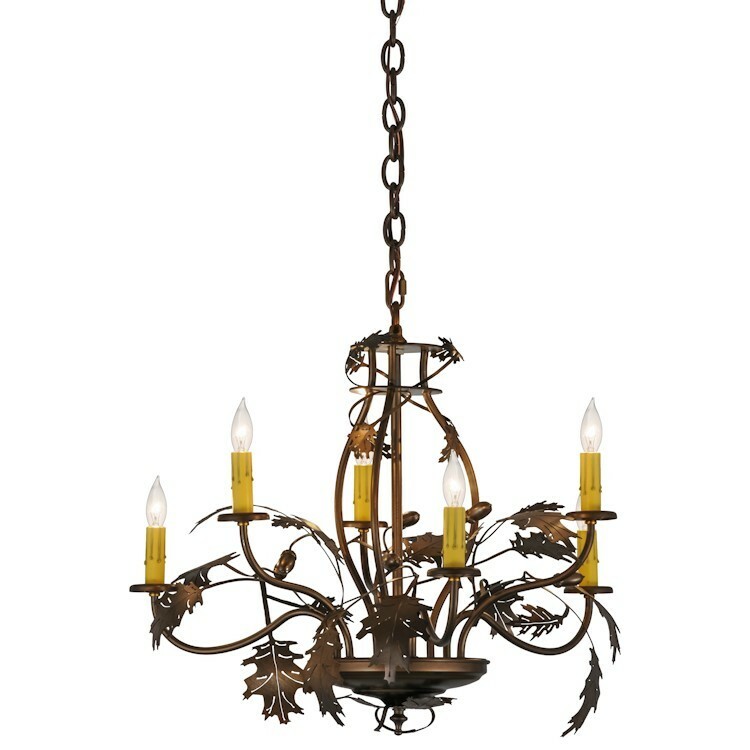 Rustic charm is revealed with this nature inspired Oak Leaf & Acorn 6 Light Chandelier as stunning oak leaves flourish from branches that adorn Ivory colored faux candle lights, which are complemented with accents and hardware finished in an Antique Copper. The most powerful of all trees, the mighty Oak represents courage and strength. 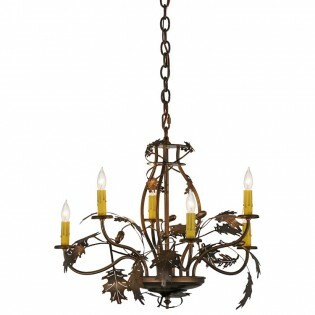 This chandelier, which is ideal for foyers, entryways and any room where you want to make a design statement.